This is done in a fun way through decoding the hidden words based on the THRASS Chart. 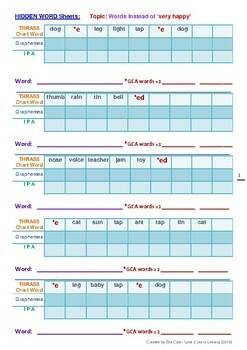 It is designed to reinforce the words and Key Graphemes of the THRASS Chart. 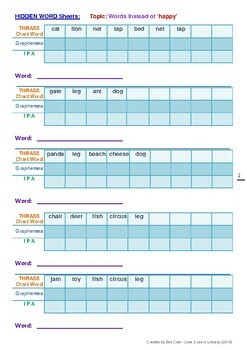 It helps to develop learners' phonics and orthographic knowledge through applying the appropriate spelling choices from the THRASS Chart for each 'hidden' word. It is also an excellent activity for phonemic awareness and aids in learning the International Phonetic Alphabet or IPA. 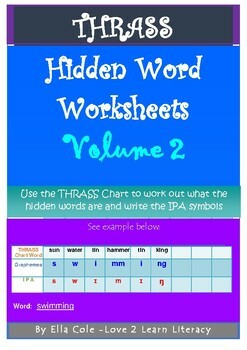 The booklet consists of 16 pages of 'hidden words' to be decoded using the THRASS Chart as the tool, along with answer sheets. 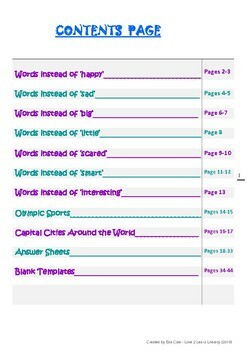 It also has 10 blank hidden word templates for teachers and students to create their own hidden word challenges.